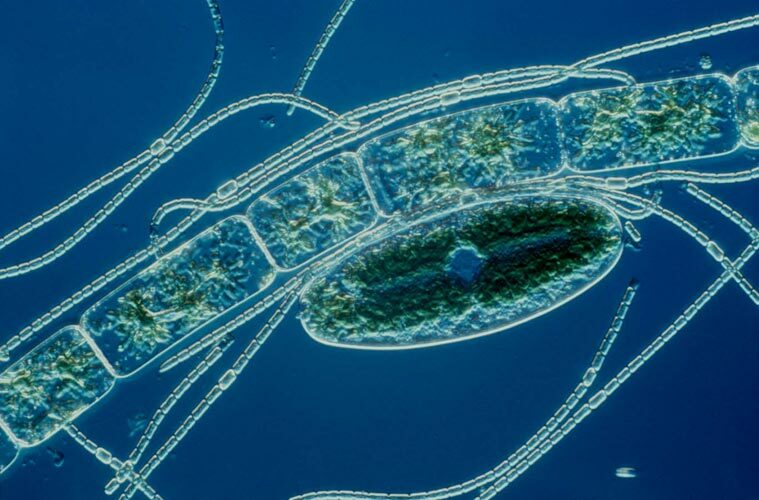 Cyanobacteria - The annual incidence of cyanobacteria in water reservoirs in the summer months, serving besides the fish farming as well as to recreation, prevents the owners and operators of these localities their use for the entire season. The aplication of biocidal-coagulation medium is a friendly alternative to the application of chemicals PAX, copper sulphate, etc., because it substantially reduces the environmental burden foreign substances, and also completely eliminates the need of transport of several dozen tons of products in the location of application. Thereby the resulting price of action reduced because the price of the product and its transportation costs are lower. The method is therefore more careful in the economic and environmental sense. 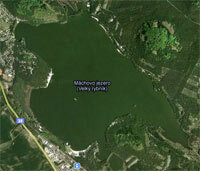 High efficiency of biocidal-coagulation media were objectively demonstrated both the dam in Jablonec nad Nisou in July 2008 and in September 2008 as regards the Machovo Lake (lagoon). In the Machovo Lake the experiment was determined by the current status of the habitat when the cyanobacteria in the selected date are not in elevation process, but near the bottom. The implementation with using the described techniques confirms the high efficiency equipment with objectively confirmed the results of efficiency (see Downloads), to reduce the incidence of cyanobacteria in the water tanks. Also it´s confirmed that the input of foreign matter into the water does not affect the amount of the natural occurrence of controlled substances, or it does not increase dramatically. Biocidal - coagulation medium which is applied by the high-performance ejector technology achieves the synergies effect with the high effect in the activities of releasing metal ions. After this procedure the occurrence of monitored metals in water is below the established norm. At the same time it´s reached more than 100% increase in the transparency of the water column. In the process of implementation of operational experiments the certified manager reg. number 00034100 takes away samples. The sampling and analysis of samples are carried out in accredited laboratories and was filled the protocol of the test number N.214/2008. 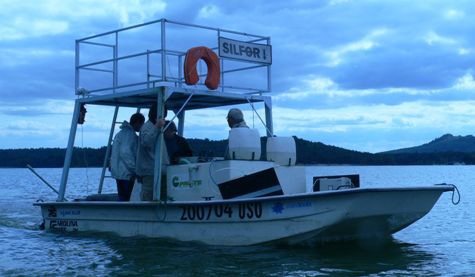 The application of correction technology to reduce the development of cyanobacteria in the experimental locality "Machovo Lake" and assessing the effect of the physical methods. The base of method is a combination of electrolysis and ejector applications. Verification of physical and chemical methods of operation of the water chemistry and implementation of finding the representation of metals before and after the experiment, the acquisition of materials for guidance.